You never beg for attention. Or sit atop somebody’s head. or at Le Cordon Bleu. Orange! The food, the color, the essence and the vibrancy it brings to our lives. Today my home smells orange. I have been motivated, inspired even, by the mere act of inhaling. 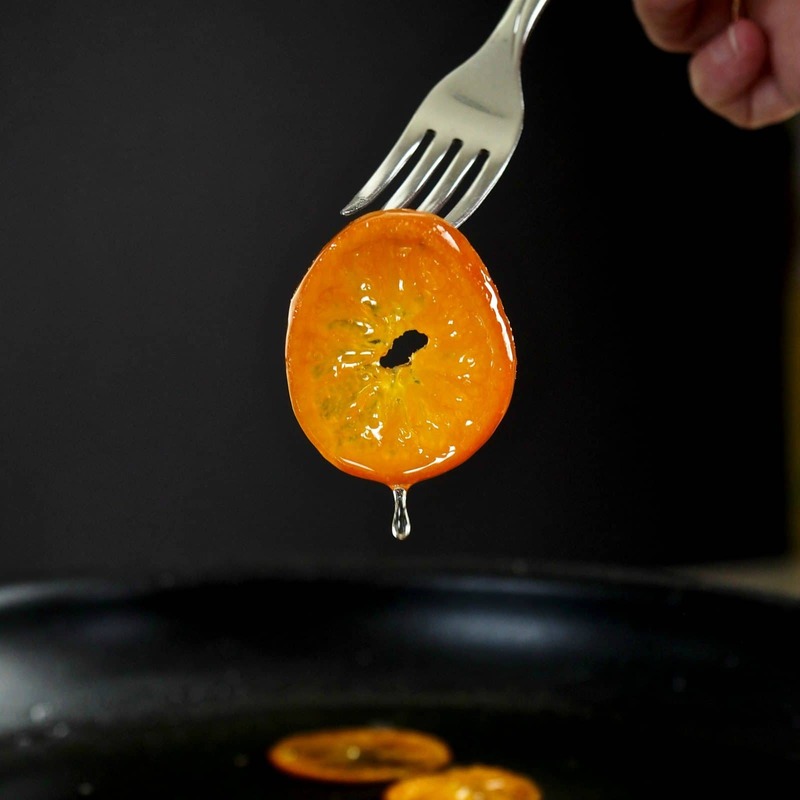 Now I want to share with you these simple steps of making Candied Orange Slices so you can experience your very own renewal. Steps 1 & 2: Wash and slice oranges no wider than 1/8 inch thick. I used Mandarin Oranges today. 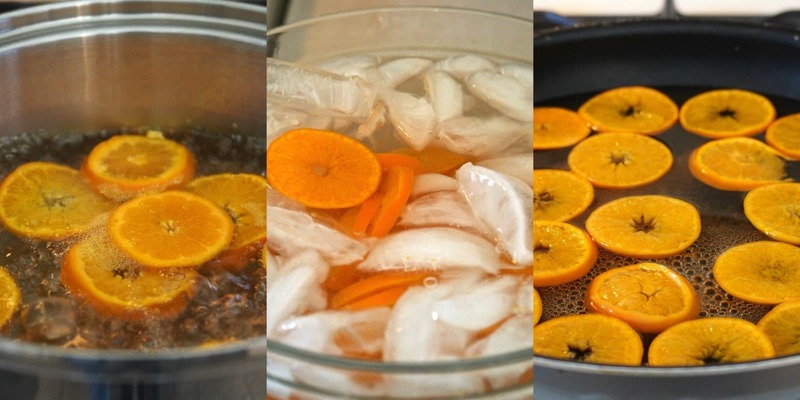 Steps 3, 4 & 5: Boil, cool & simmer orange slices. Step 6: Drain orange slices. Step 7: Place orange slices on a cooling rack to cool and dry. 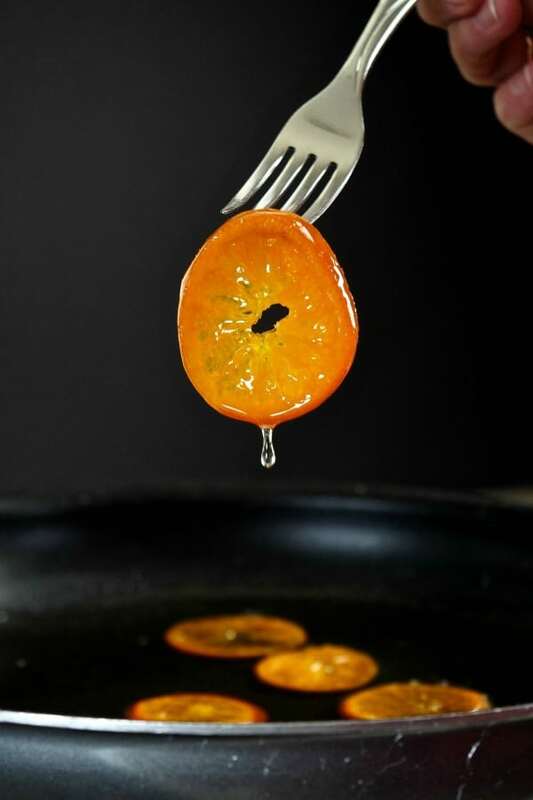 Step 8: Use candied oranges for garnishing many delicious desserts, quick breads, salads, and so many other foods. Step 9: Enjoy your renewal! Candied Orange Slices add the special somethin' somethin' to almost any dessert. ...an edible garnish with a sweet citrus bite. Chewy, fresh and gorgeous. 3 Mandarin Oranges *see notes, sliced into thin rounds not over 1/8-inch thin. Discard seeds and end cuts. Bring a medium saucepan of water to a boil and add orange slices. Boil 1 minute then place in the bowl of ice water until cooled. Drain. In a large skillet over medium heat, bring 2 cups sugar, 2 cups water and 2 tablespoons orange juice just to a boil, and heat until sugar dissolves (stir occasionally). Turn heat to medium-low and place orange slices in the sugar-water in a single layer. Simmer (do not boil) the orange slices 45-60 minutes or until rinds are slightly translucent, turning every 15 minutes. 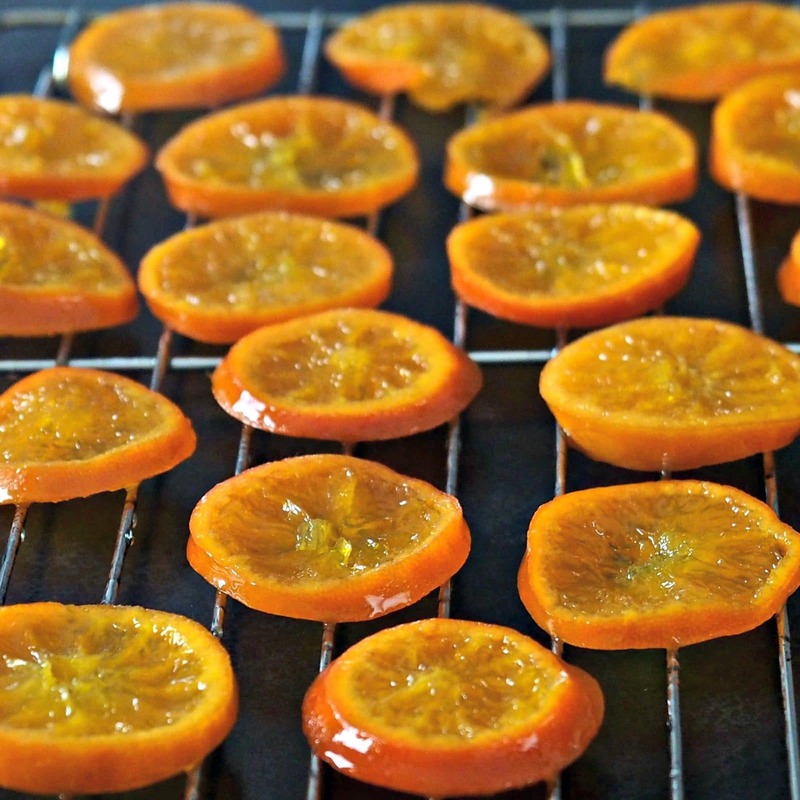 Place orange slices on a cooling rack and allow to cool completely, (1 hour or overnight). If desired, sprinkle extra sugar over candied orange slices if you prefer the slices less sticky. 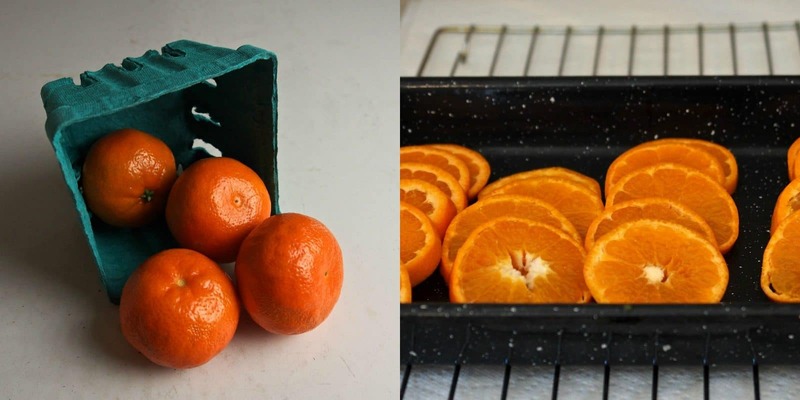 Use immediately or keep orange slices refrigerated in an airtight container until ready to use. The orange slices can be kept up to 1 month and used as a garnish for many desserts. Reserve orange syrup, in the fridge, for another use being sure to discard after 2 weeks. 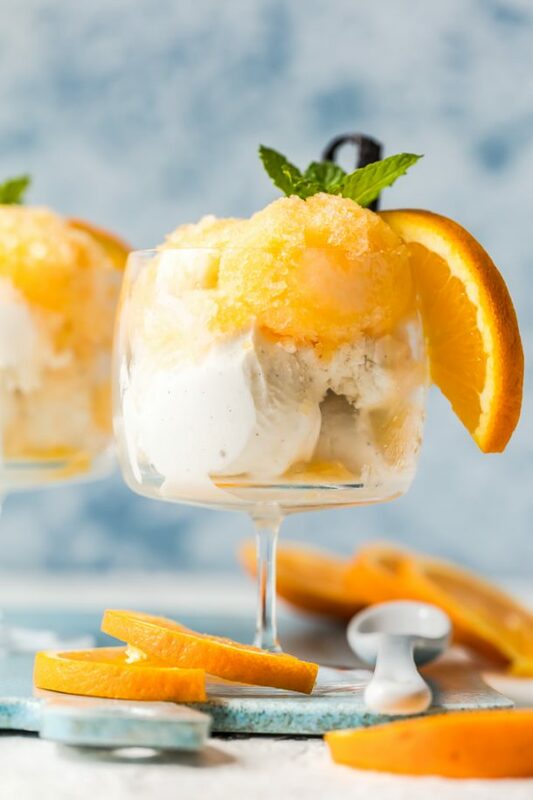 *For this recipe I used Mandarin Oranges, but any citrus fruit can be substituted. Love these, how gorgeous, you do such amazing work!! Thank you and thank you, Tara. I agree Jeanne. I LOVE these and had a hard time NOT eating them. Thank you for your sweet comments and thanks so much for stopping by today. Such a great idea and an amazing picture. Thank you so much Catherine. ...so sweet! 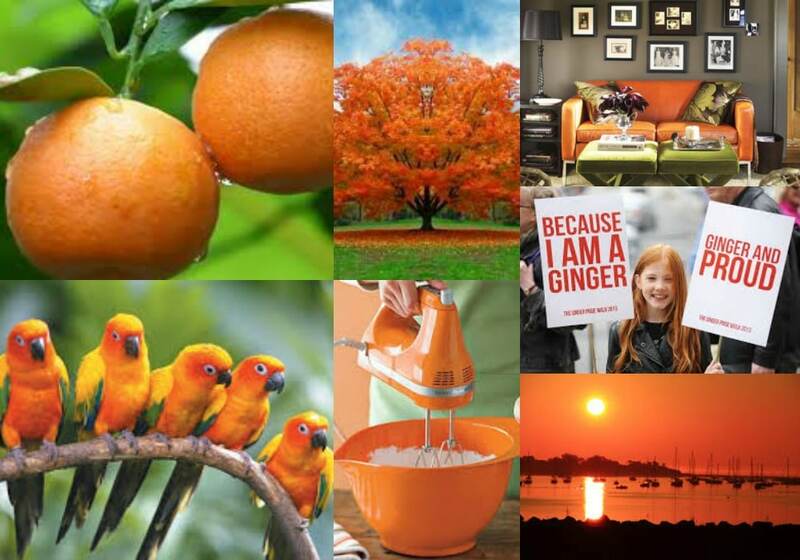 Love oranges and love the color orange. 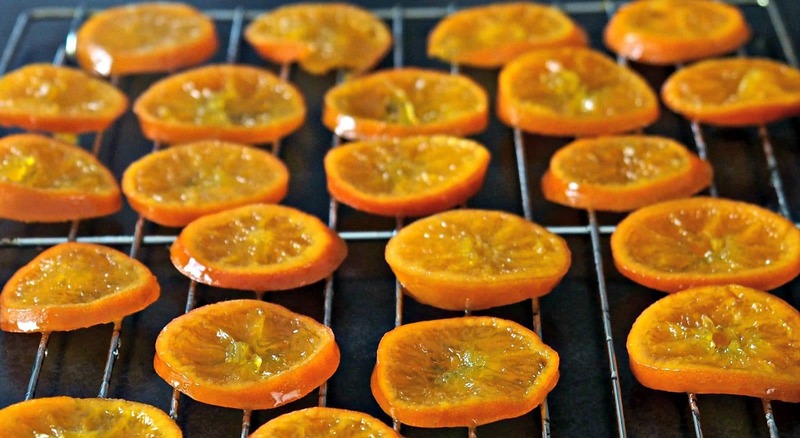 Amazing pics and these candied orange slices look so yummy! Thank you so much, Linda. You know how much I love you!!! How lovely! And you make it all seem so easy. I'm going to give this a try, I'm working on a dessert I think these candied oranges would make a great addition to. Thank you, Petro. I am amazed how easy making candied citrus is. You will love these and it is such a versatile treat. Your photo of that "drip" is so awesome. Perfection. These sound so amazing. Beautiful job! Thank you so much, Christine. I'm pretty proud of that drip, myself. From one food blogger to another, you know luck played into it a bit:-). Sweet, tangy and fruity…what better combo is there? Seriously!! Love the shot and the treat is just fantastic! Thanks so much Nic. I do love citrus - anything!! Thanks so much for stopping by. Gorgeous, and lovely photos too! Thank you, Kavey. I appreciate you stopping by - please come back soon. Simply stunning. I have not made these for years and years - candies fruit is lovely, but so expensive usually. 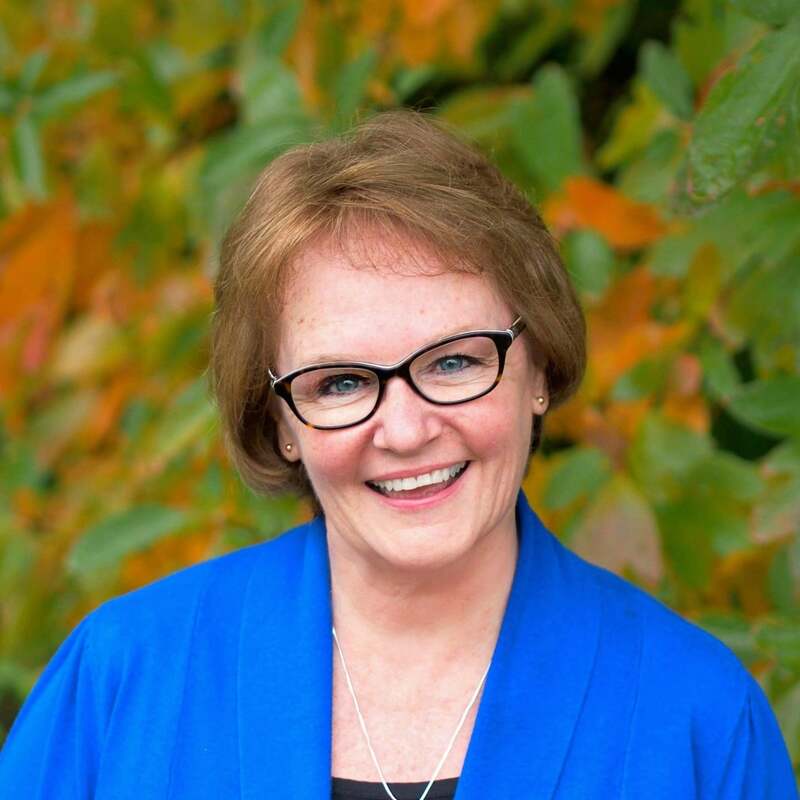 Thank you, Helen. I was surprised how easy these were to make. It is a recipe I will be making often. These orange slices look so beautiful and delicious! Thank you Elena and thanks for coming by Simply Sate.